Ray LaMontagne in Montreal or Quebec City? Inform me about the next events for Ray LaMontagne. Enroll yourself to our priority waiting list for Ray LaMontagne to be alerted when new tickets are available. Filling this form doesn't engage you to any purchase. 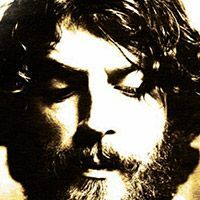 Ray LaMontagne is coming to Montreal for a performance at the St-Denis Theater on May 28th, 2011. The New Hampshire folk singer will be performing tracks from his latest album God Willin' and the Creek Don't Rise, which he released in August of 2010. Brandi Carlile and the Secret Sisters will be the opening act.